The Punjab Government today released Rs. 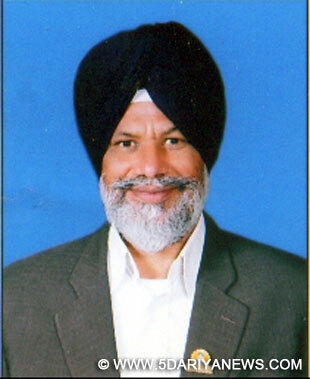 69.56 crore to 136 private aided colleges of the state with a view to strengthen higher education sector in the state.Disclosing this here today, Surjit Singh Rakhra, minister for Higher Education, said that SAD-BJP government was fully focused in resolving the pending issues of private aided colleges and with the great efforts of Punjab Chief Minister Mr. Parkash Singh Badal, more than Rs. 173.42 crore has already been released during last seven months including Rs. 69.56 crore being released today. Rakhra said that he has already directed Principal Secretary Higher Education Mr. Roshan Sunkaria to have a detailed meeting with the various associations of lecturers and other stake holders of private aided colleges so that a viable and mutually acceptable solution could be found for their remaining problems.Reiterating the commitment of SAD-BJP Government for ensuring quality education to the college students to improve their employability in the upcoming industry and service sector, Mr. Rakhra said that now it was the bounden duty of lecturers to focus their energies in educating the students. He appealed to them to shun the agitationist path and complete the examination and evaluation work assigned to them expeditiously.